Thank you for contributing to make our wedding the most special day of our lives. I recommend Maui'd Forever with extreme confidence." Aloha! 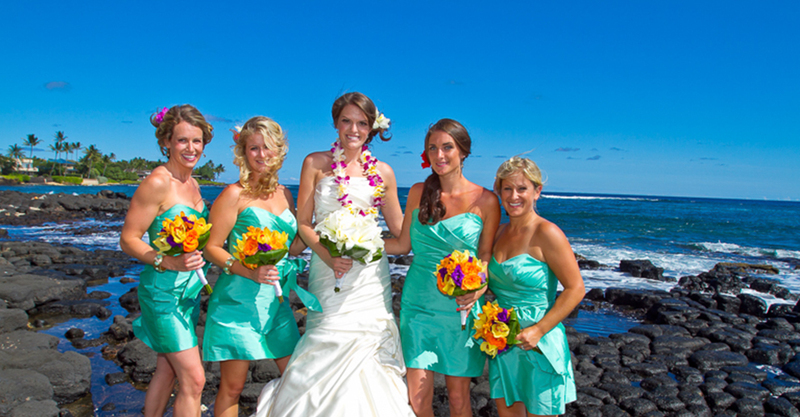 We do beach weddings on Kauai, Oahu, Maui and the Big Island of Hawaii. We've assembled a team of local professionals to help coordinate the hawaii wedding of your dreams. Read what past clients have to say. We do weddings of all sizes and nobody beats our price! See our Video and check us in the News. Of course see our Packages. Please let us know if you know where you want your Hawaii wedding? With that information we can provide you with much more specific information. 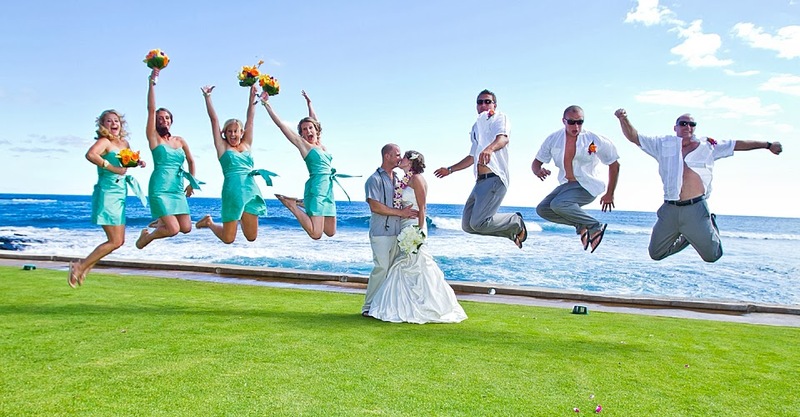 We can also provide travel and accommodations for your Hawaii Wedding using the leading provider of travel to the Hawaiian Islands, Pleasant Holidays. We are happy to provide you with a no obligation quote for you and any of your guests. Larger wedding parties are provided with extras using their "wedding desk". If you would like this help and are not sure which Hawaiian Island is best for you we should talk specifics as each Island is wonderful in its unique way and we can better guide you after finding out more your needs and desires.